Holosmith or mirage for open world? I've been playing engineer since release and they're my only characters (two, actually, since around 2013 I rerolled from Charr to Sylvari) with 100% map completion (and extra inventory slots, to boot). While it would be nice to have a definitive choice, I'm still torn between the two. So, at this point is it worthwhile to try and reroll any more or would it be too much hassle? Play a Mesmer up to the point where it's comparable to your Engi? The time spent on getting that done should also help in making sure you actually enjoy Mesmer/Chrono/Mirage as much as you think you might. Like... If you can't even get the same targets done, then surely it's not an improvement? Bit screwed mindset I suppose, but I think there's some merit to it. It's open world, get some rabid/carrion gear, axe, torch and staff and you're good to go. As much of a spam fiesta it is (I generally like more complex gameplay), I actually had fun on it during map completion. There's not much to think about, try it for couple of days and see if you like it. Mirage is fun it's something else. Holo if you want to tank stuff and make condis dissappear with great dmg and mirage for more mobility and huge condi numbers and fantastic mobility. I just tried Mirage. Is its gameplay really this active, or am I doing something wrong? Having to keep an eye on endurance and weapon swap bars in order to "dodge" and weapon wap on cooldown makes it somehow twitchy. Its been repeatedly recommended to avoid Mirage if have issues with rapid movement. Mirage is really big on displacement and repositioning, and actions per second are key to quickly setting up bursts. Holo on the other hand is a highly stream lined Kit, which front loads the majority of its damage into PF bursting, and spends its down time kiting. Thats why people think Holo easier to use then other Engie builds, because its burst option requires no set up, and doesn't require sustained action to maintain damage output. Mesmer (all builds) are the exact opposite, since Shatters are inherently back loaded, and most of your front loaded phantasms are bottle-necked by weapon swap. 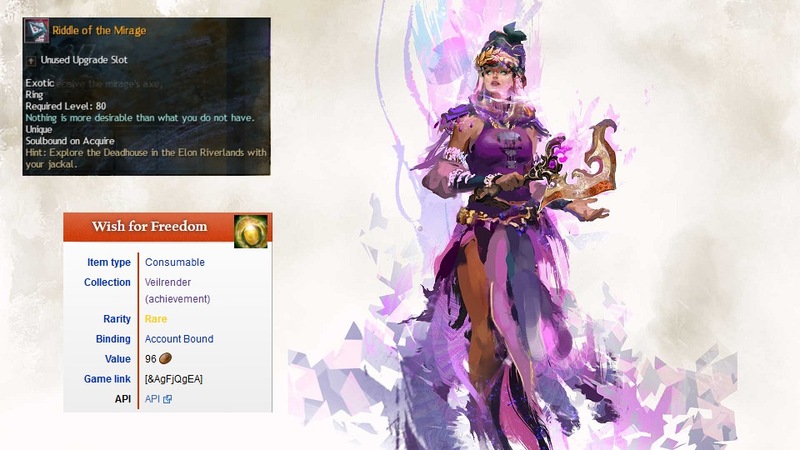 Mesmer is also balanced on fairly tight cool downs, because they have the ability to both drop huge burst of damage on demand, and can maintain an untouchable state with its defenses. If the timings were any looser, they're basically unstoppable (which is the current state of the Mirage). What you need to understand for Mesmer is cadence. The Cool downs of Mesmer skills are aligned in a way that they're meant to sync up with trait triggers, and occur at very consistent intervals. Most skill combos also follow a consistent order for their setup, which the Mesmer can vary by a few seconds to make them less predictable. Once practiced, you can track the ICDs of traits by their offset from associated skills, or by following certain rotations made to capitalize on this alignment. From that point, its not a matter of tracking individual skills and ICDs, but just knowing when a given combo should be ready to execute. Check utilities, Mes has so many dodge and escapes. It's not about the dodges and escapes themselves, as that you want to "dodge" (ok, mirage cloak) as often as possible, because it increases your damage output due to ambush procs. But, in any case, mesmer's just not from me, and I'm completely to terms with it. I played all classes, but not all new PoF specs (only Mirage, Scourge, Spellbreaker, Firebrand and Soulbeast). I really really like Mirage, it is super fast, you evade a kitten of attacks, hence you can pretty easily dodge deadly attacks from champs and even solo some. I definitely go down far less than with other classes I play in melee. Also the DPS is nice and you get used to the new dodge and mirror mechanics. It is really kitten imo.